First thing’s first: It’s a cheat meal, not a cheat day. Cheat meals should be a part of your diet, but cheat days will ruin your diet. Nutrition experts agree that any diet should adhere to the 90/10 rule, meaning 90 percent of the diet should be focused solely on healthy food, while the remaining 10 percent can be devoted to cheat meals. For example, if you’re looking to follow a dieting plan that allows four smaller meals throughout the day, then you will be consuming 28 meals a week. By following the 90/10 rule, two to three meals a week can be devoted to indulging your sweet tooth. Cheat days serve a couple of purposes. First, it is important to clarify that a cheat day is most successful when a single meal that day is regarded as the cheat. If you allow all of your hard work to unravel for an entire day, you can quickly void the progress you have been making all week, especially if weight loss is a goal. Why should you eat a cheat meal? That coveted cheat meal you’ve been powering through cups of vegetables and chicken breasts for is more than loading up on junk food. Psychologically, it’s about making your diet seem more feasible. Let’s say Monday through Saturday are healthy eating days and Sunday is the day for your cheat meal. Sticking to your diet six days out of the week seems a lot more attainable with some scoops of Ben & Jerry’s waiting at the end. There is a psychological component to the cheat meal. Without rewards, it can become mundane to keep a healthy lifestyle day in and day out. Oftentimes, it may take several weeks to see the scale budge, so knowing that a cheat meal is coming can help keep up motivation. Don’t forget its ok to have a cheat MEAL, just be careful it doesn’t turn in to a cheat day and potentially ruin your progress you’ve worked so hard for. 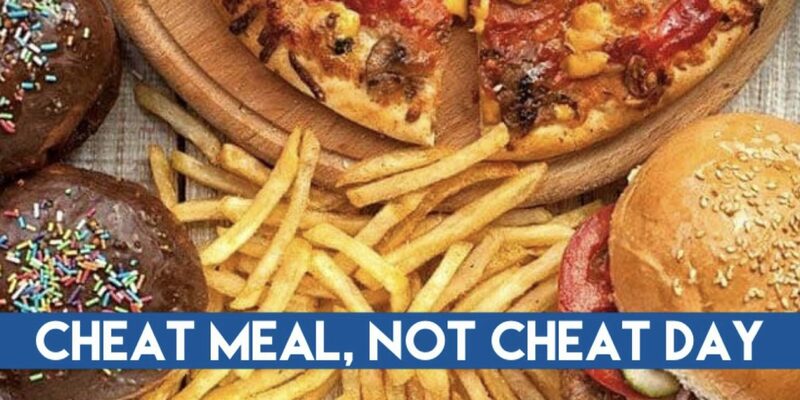 When we say cheat meal, we don’t mean eat everything that you can find in the house in one sitting. Your cheat meal should be the same portion size as one of your normal meals except it will be something you’ve been craving all week.